In 1948, Don Bradman was a cultural sensation until his final test match. The Oval in London was packed with fans who stood up to applaud his lifetime of achievement. Bradman’s incredible career was one of a kind. Achieving four runs that day would have granted him a stunning career average of 100, but since it remains invariably at 99.94, we know that didn’t happen. Everyone thought he would recapture that lightening in the bottle, but the thunder never came. There was an odd quietness accompanied by faint applause as he left the field. Glenn McGrath, who was internationally known by his nick name, Pigeon, made quite the fuss in year 2005. He was just one wicket short of setting an unbelievable record of 500 test Wickets. As a sort of an early celebration, the cricket star wore a pair of golden boots. A strange gesture that got plenty of laughs. Even his team mates frowned on the overconfident display, but to their delight and the opposing team’s dismay, he achieved his goal. Aussie’s was victorious. By the end of the match, Mcgrath’s statistics were set at an astounding 9 for 82, and his fancy footwear, went on to be known as “Pigeon’s lucky boots”. He never wore them again. Just kidding. It’s crazy to think that Warne’s very first bowl in a test match on English territory, would become the milestone that it is. Because of it, we will always be reminded of the story of Shane Warne. He will go down in history as one of the top spin bowlers to ever compete in a cricket match. Especially for what he did during the Ashes series of 1993 at Old Trafford. This is where Warne solidified his legacy by going up against an Australian legend, Mike Gatting. He left the impressive batsman in bewilderment with one distinguished leg break. Today this moment in Ashe history, is remembered as the “Ball of the Century”. It is difficult for Australians to lose to England on any occasion but losing when you’re just three runs away from winning the match, is devastating. These are the circumstances the Aussies were left with during the 2005 test series at Edgbaston. The fans of both countries were on edge the whole time as their teams competed ruthlessly for the 62nd run necessary to win. It was one of the closest matches in the rivalry of the Ashes. At least until Kasprowicz gloved it, immediately handing over the victory to the UK. Australia was just three runs away when that window of opportunity shut. It must’ve been painful. In any case, Adam Gilchrist’s extraordinary dash to the second fastest test century ever, would be considered an impressive feat. 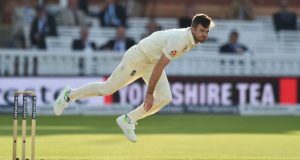 What made this event so special, is that the Aussie’s reclaimed the Ashes against the U.K. in front of their own countrymen, confirming a third straight win for Australia. To beat Viv Richards ‘s 1986 record, he required only three runs. In retaliation the English sent the ball wide deliberately. Gilchrist failed to set the new record that day.